Lost Ghost debuts on the label with a genre bending release which sits firmly in the techno arena. Both tracks throb with attitude and pulsate throughout with a hypnotic and sinister feel that is perfect for the darkest corners of the seediest clubs. 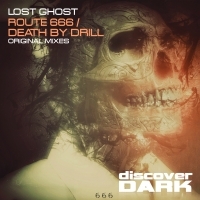 'Route 666 / Dead by Drill' is available now from Beatport and iTunes.